New Avenged Sevenfold video for, "The Stage"
Not content to merely be fans, some people take the whole ‘obsessed with’ concept to a creative extreme. 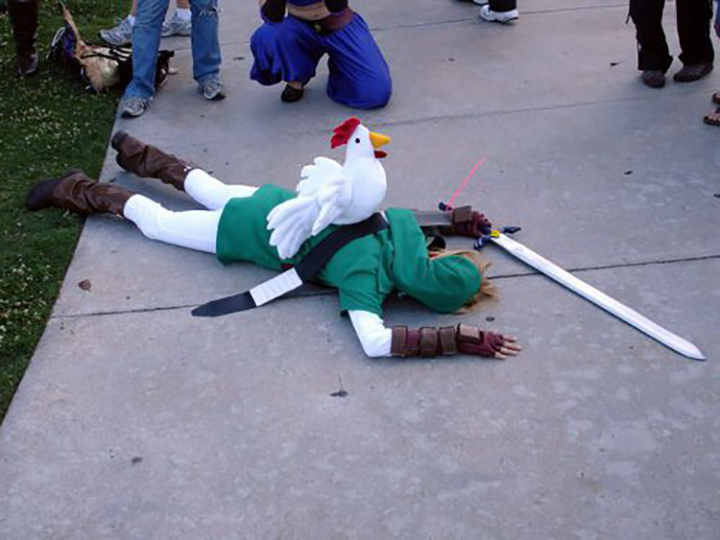 Cosplay is the adult version of ‘dress up’, even though the heart of cosplay is for all ages. 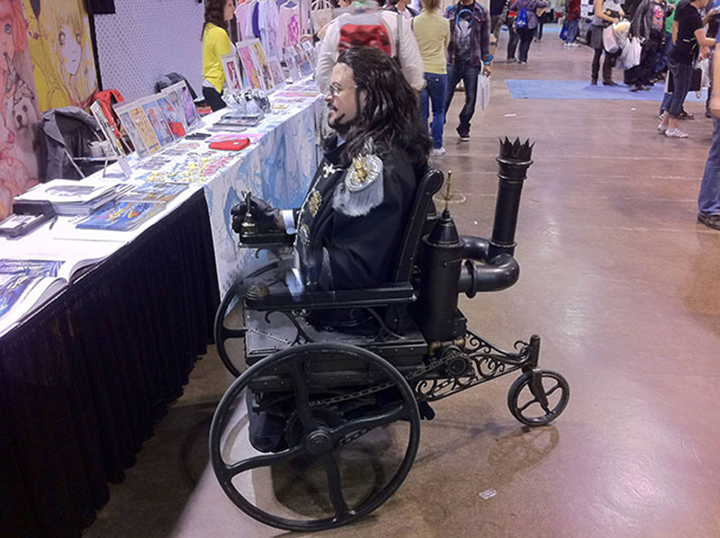 If you like it, and it makes you smile, nothing shows your fandom like bringing the fantasy to life. 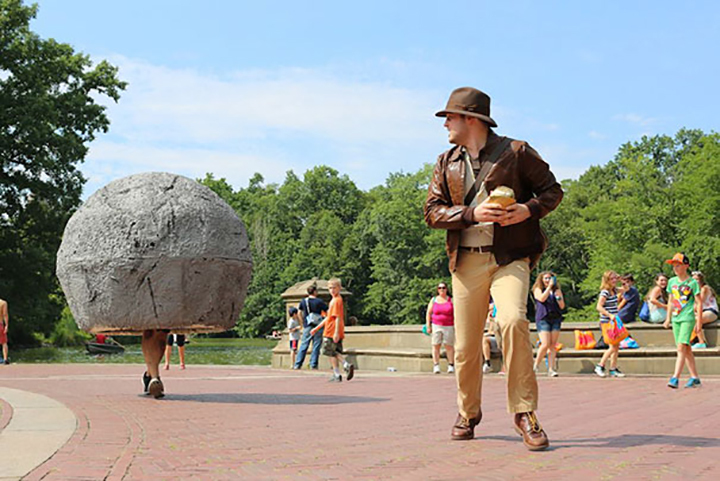 This Raiders of the Lost Ark tribute is beyond clever. I wonder how they decided who would be the boulder. 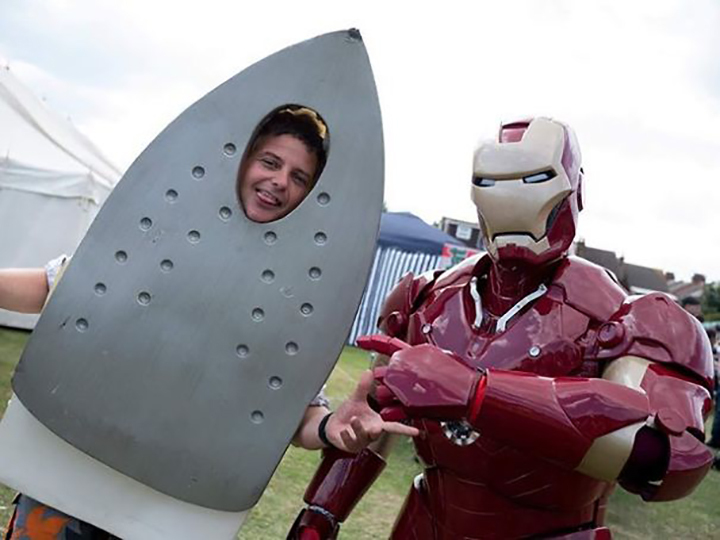 ‘Iron’ Man with Iron Man. 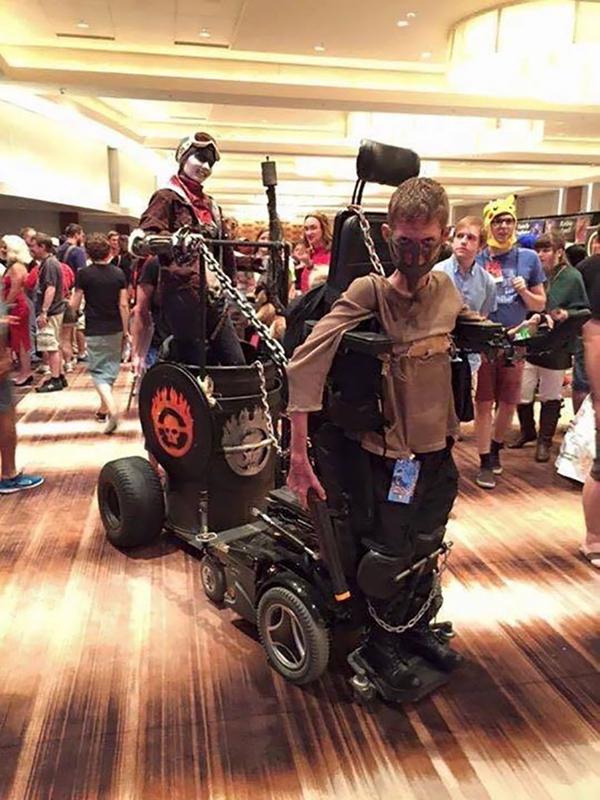 What to do when you are a fan of cosplay, but find yourself in a wheelchair? You get creative as hell like Benjamin Carpenter and show up at Comic-Con in full on blood bag mode in a tribute to Mad Max. 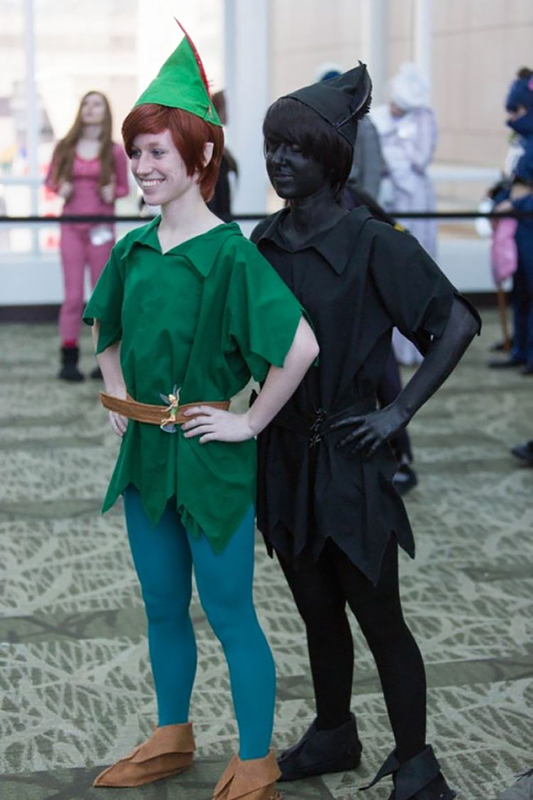 Peter Pan and his ‘shadow’. If you don’t get it… you need to brush up on your Pan. 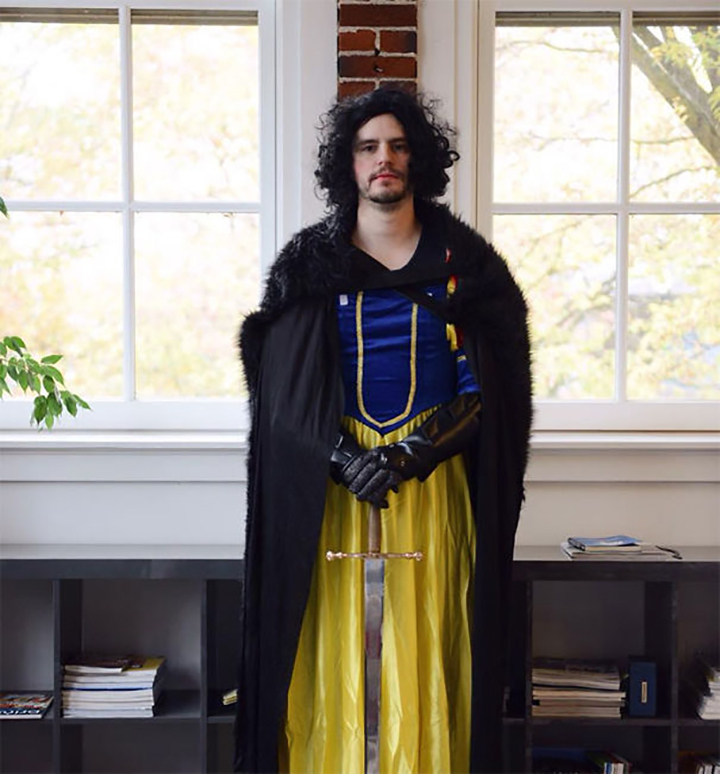 Jon Snow White. 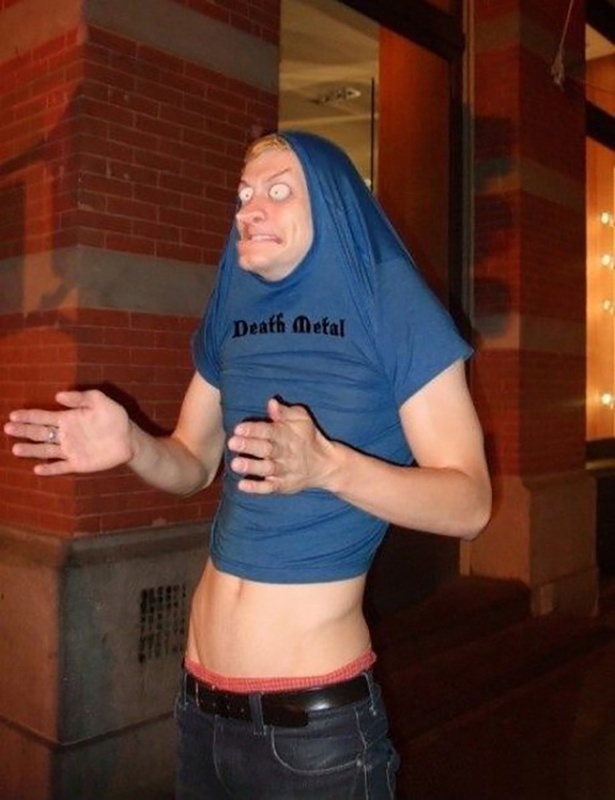 You are killing me man…. 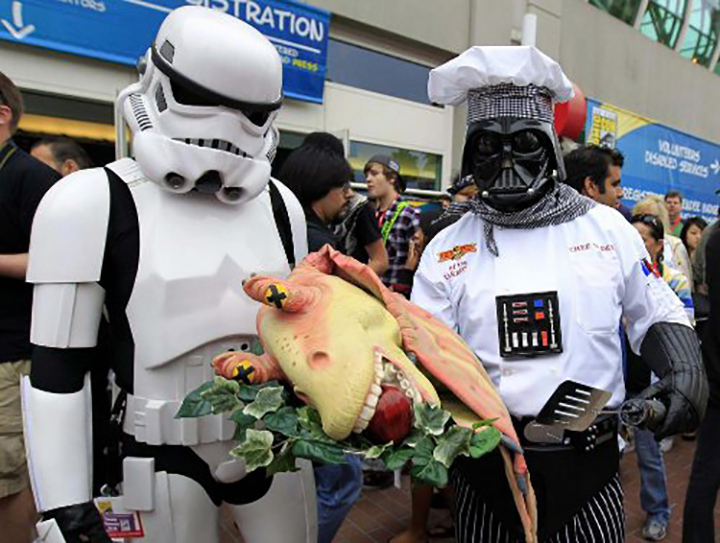 This is the ONLY way to correctly include Jar Jar Binks in any cosplay. 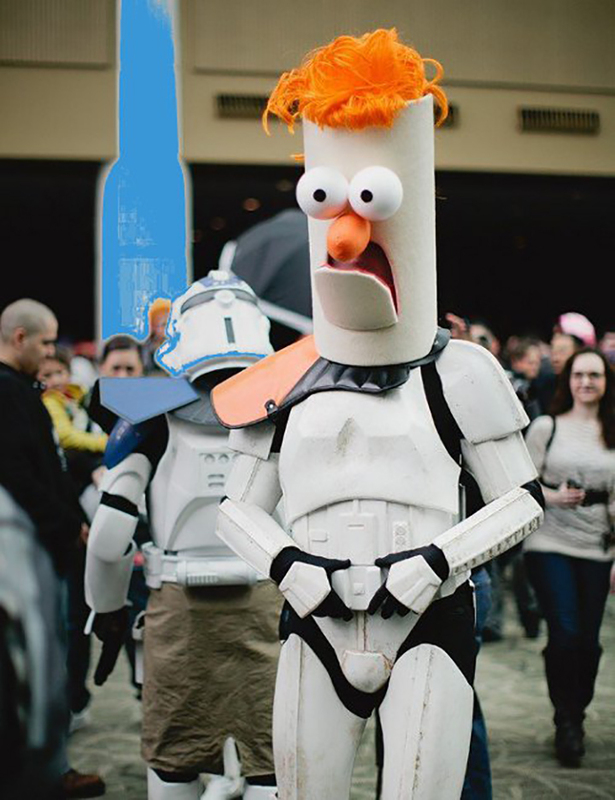 Stormtrooper Beaker. Why is unimportant. 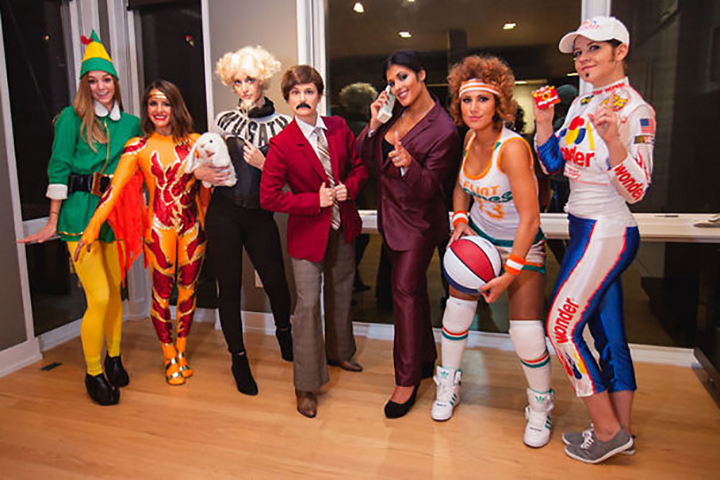 The fact this exists is all that matters. 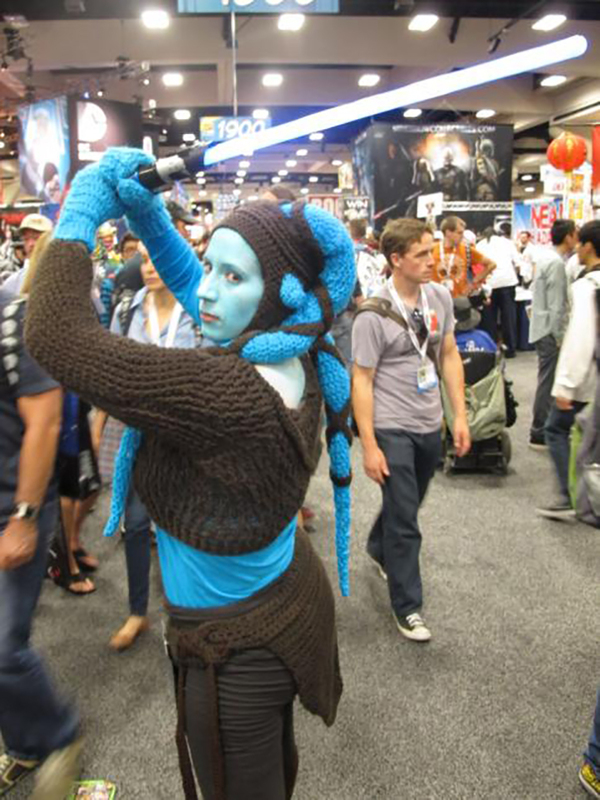 When you are on a budget, but can knit like a Twi’lek Jedi. Who even remembers Wild Wild West? 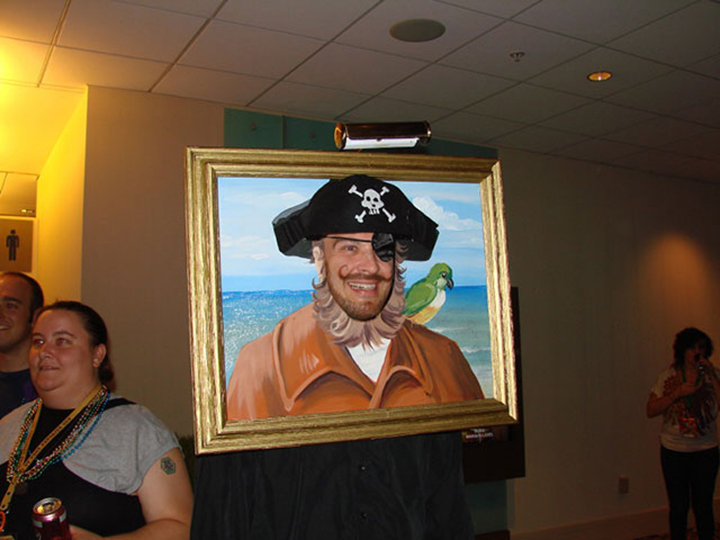 This guy and his Dr. Loveless tribute. 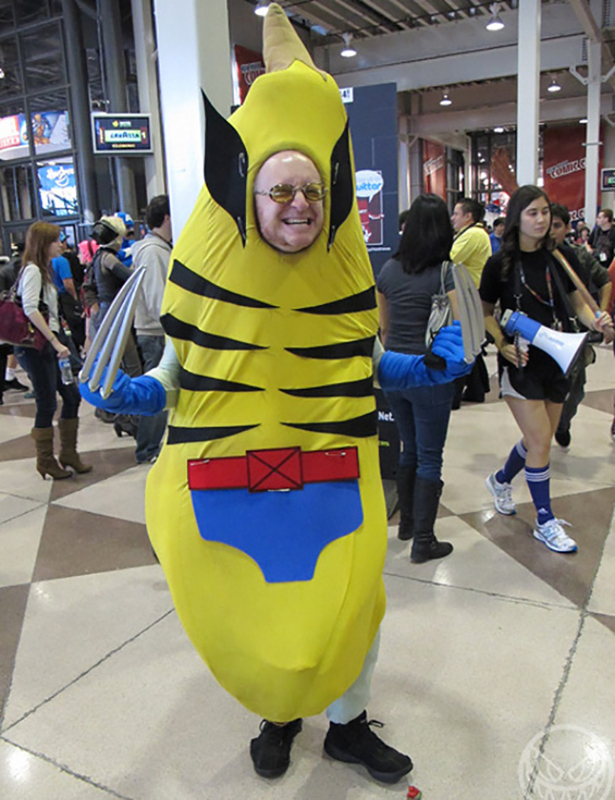 Perhaps there is a pun that I’m missing… or maybe this is a just a banana Wolverine. Sure… why not? The World of Warcraft troll from South Park. 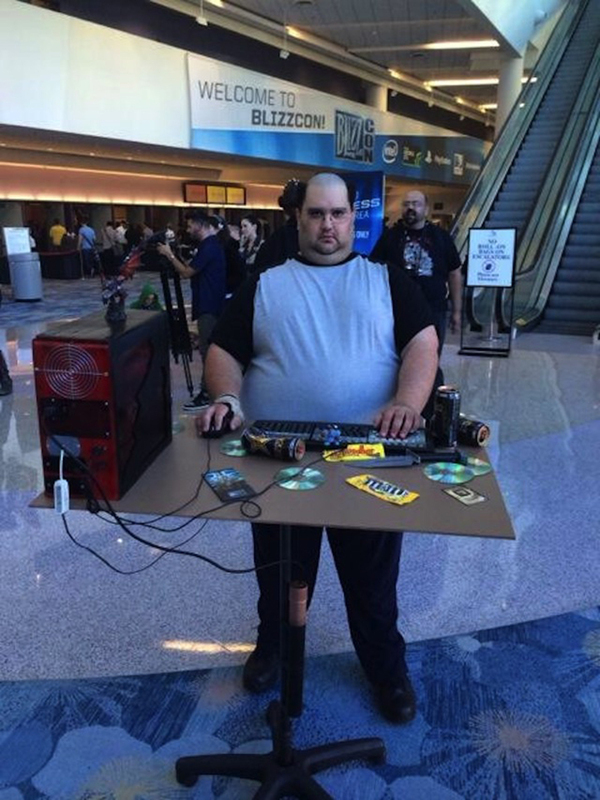 Level 90 Genius. 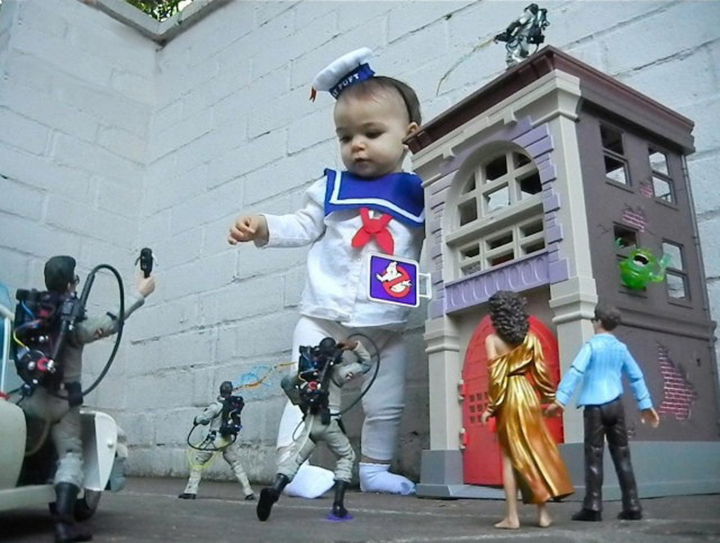 Cosplay plus action figures plus forced perspective photography = cuteness overload. 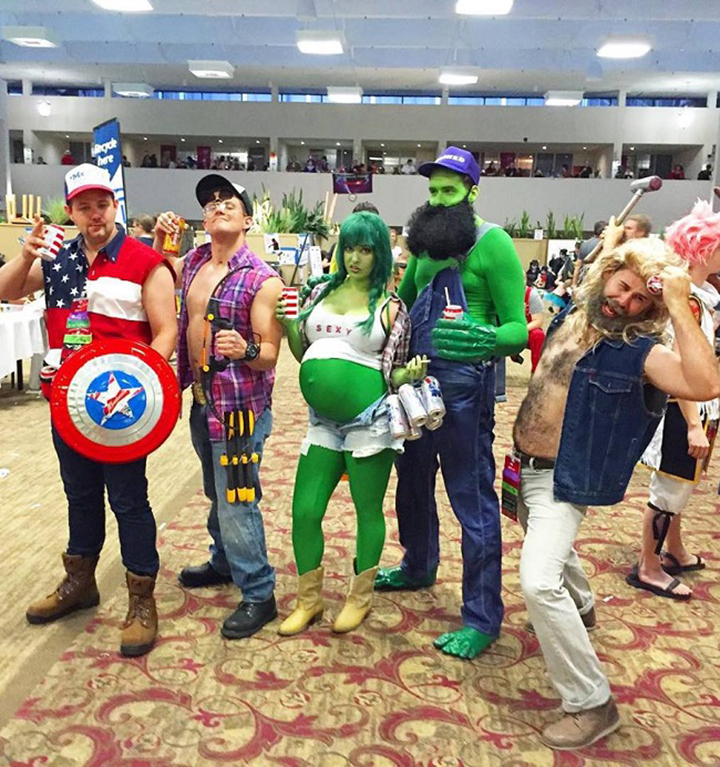 Hillbilly Avengers… doing it for ‘Murika. An ‘in the shower’ Sim. Nice pixels. 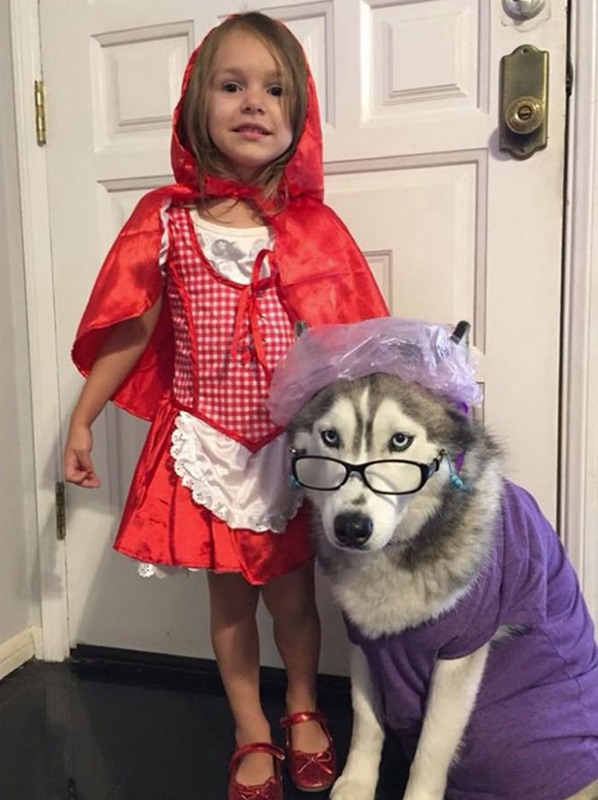 Adorable Little Red Riding Hood and Big Bad Wolf… aka… ‘Mr. Fluffers’. 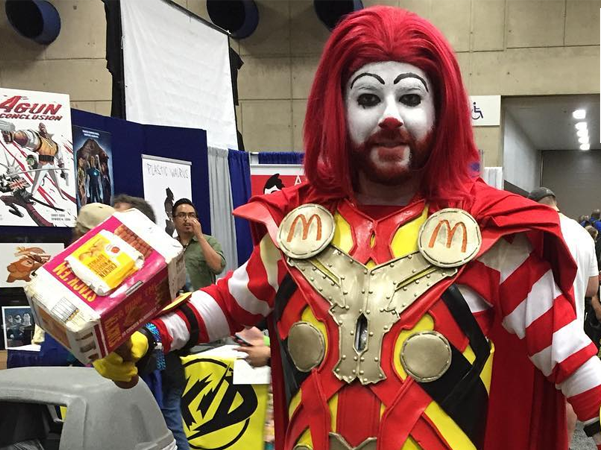 Ronald McThor. Ready to deliver you to the fry pits of Valhalla.